Friday, March 24, the Hawkeye Garage which has been under the ownership and management of ??? Tilp, was sold to Messrs. A. Kuhlman and Earl Richards. The Hawkeye is one of the best equipped garages in this section of Iowa and is nicely located for transit trade. 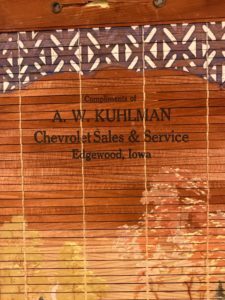 Mr. Kuhlman has been the foreman for the past two years and before coming to Edgewood, was foreman at other garages in this section. He is a mechanic, in the true sense of the meaning of the word. Mr. Richards was postmaster in Edgewood for a number of years, assistant cashier and cashier of the Farmers Bank and was also Secretary of their shi???? associations. They both are fine fellows and capable of conducting a first class business and deserve a share of the automobile business. Mr. Tilp, the retiring owner has not made definite plans in regard to the future. We regret very much to have him discontinue his business, but welcome the new firm and wish them both abundance of success. 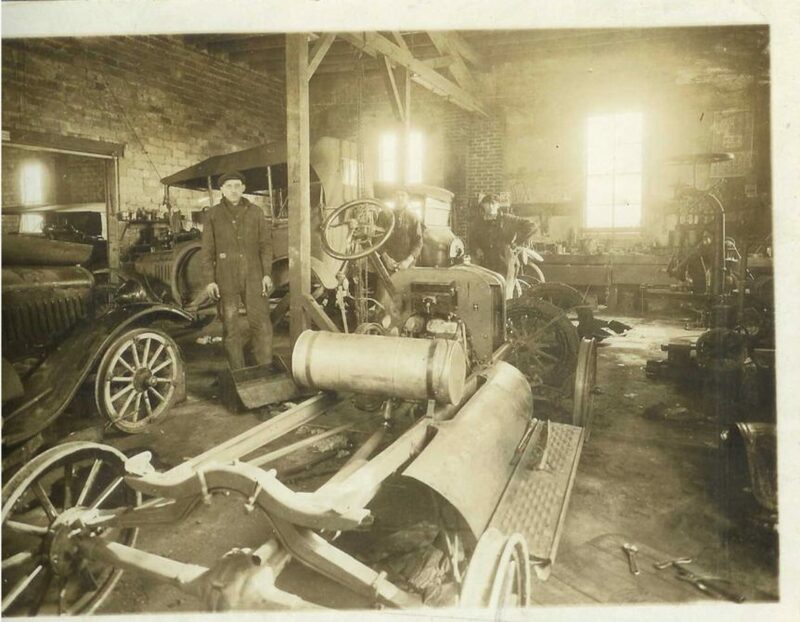 Editor’s note: The Kuhlman garage was located at the site of the current medical clinic and physical therapy building on the SW corner of Hwy 3 and Washington St.. Ashline Motors and Howard Bushaw’s service station followed Kuhlman in that location.